With Anzac Day coming up tomorow, my thoughts turn to my great uncle Stephen Boulton as I wonder - how did he spend Anzac Day on the Western Front one hundred years ago? His letters reveal that 1917 was a roller-coaster ride for him, with a series of UPs and DOWNs. He went on ten days’ leave to England around 5 January 1917 (UP) but, being a victim of that year's extreme cold winter in France, he was already incubating the mumps (DOWN). He'd only been back in France for a day when the symptoms emerged and he went straight into a hospital isolation ward in Boulogne and then into a convalescent camp. He didn’t leave there for the Base Camp at Etaples until 24 February, when he underwent the required 10 days of training exercises before sick soldiers could rejoin their units. Coincidentally, the 24 February was the day his mates in the 1st Division took part in casualty-laden action at Bapaume. So his stay in the hospital, the convalescent camp and the Base Camp was a high point on his 1917 ride, as being sick allowed him to stay relatively warm and dry through the worst of the winter weather and to escape some of the front-line horrors (UP). After Bapaume, the 1st Division was rested from front-line service, and the authorities found it more convenient to leave Steve in the Base Camp, suffering the endless training regimes desiged to keep soldiers busy as he waited to go up the line. For strategic reasons the Germans had retreated in the Spring of 1917 to their well-fortified Hindenberg line of defence, which the Allied forces now determined to break through, as they had at Pozières in 1916. A veteran of the latter battle, and watching the comings and goings in the Base Camp, Steve was obviously well aware of the intended action, because he referred in a letter to censorship restricting his ability to mention what was going on at this time. It was not until 29 March that Steve rejoined his old artillery mates, now relocated from 21st Field Artillery Brigade to the 1st FAB as part of a major reorganisation of the Allied forces prior to the fighting season of 1917. They were camped in the Béhencourt rest area north east of Amiens. The Arras offensive was about to commence, a definite trough in Steve's ride through 1917 (DOWN). 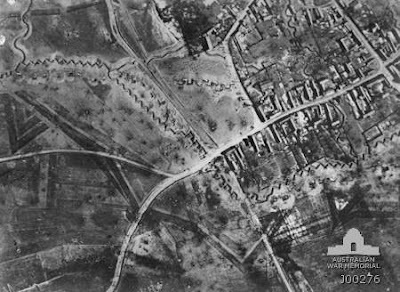 On 6 April the 1st FAB (except for one unspecified section) moved out of Béhencourt to a staging camp en route and next day moved into its position south-east of Arras and north-east of Bapaume where the Australian 1st Division was holding a lengthy (13,000 yard) section of the front line, running almost parallel to the German front-line with only a kilometre of No-Man's-Land between them. A few miles to the north, Australia’s 4th Division faced the Germans at Bullecourt, a French village which had been incorporated into the Hindenberg line, just like Pozières had been in 1916. The British General, Gough, ordered a poorly-planned attack on Bullecourt on 10-11 April, a battle which failed dismally and was very costly for the Australians. Steve’s unit stayed in the line until 21 April, when the 1st FAB was withdrawn for a few days of rest in the wagon lines, where it seems that Steve and his mates spent Anzac Day in 1917. Gough ordered a second Battle of Bullecourt, across the same ground as the first. It began on 3 May, and involved three Australian divisions, with some ground successfully recaptured from the Germans. The latter abandoned their efforts to regain their lost ground by 17 May and the Australians were withdrawn. In the two battles the AIF suffered 10,000 casualties (killed and wounded) and many men were captured, for no important strategic advantage. Any residual Australian confidence in British command all but disappeared. 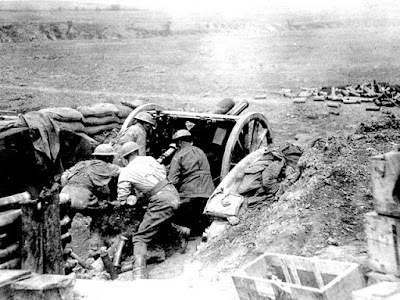 The 1st FAB was relieved in the line by a British artillery unit on the night of 19/20 May and moved back to reach the Béhencourt Camp by 22 May, for a rest spell before returning north to Flanders. If Steve ever wrote any letters during these busy two months of front-line action, they did not survive. Corporal S P Boulton was selected for officer training in England and on 6 June 1917 he entered the Officer Cadet School for the Royal Field Artillery, run at Lord’s Cricket Ground in London. 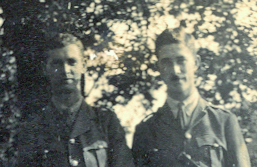 (UP) A four-month gap in Steve’s letters ended on 29 July 1917 with a letter addressed from London to his mother. Its context suggests he'd written some letters home during his previous two months in England, but they too are missing. Artillery officers in WW1 required certain character traits to be demonstrated, as well as an aptitude for highly technical training, so their training was of much longer duration than officer training in the infantry, with a number of exams to be passed (DOWN). 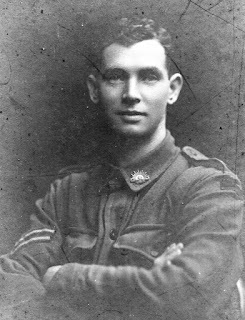 The training regime kept Steve away from the front line for five months, an absence which proved in hindsight to be another high point on his roller-coaster ride of 1917, because he escaped the bloodbath of the Battle of Passchendaele in Flanders in the second half of that year (UP), when many of his artillery mates were killed. For more details, see Brothers in Arms: The Great War Letters of Captain Nigel Boulton, RAMC, & Lieut Stephen Boulton, AIF, available from a number of online outlets and several military bookshops.